Something quietly miraculous took place on the Upper East Side of Manhattan (Cavatappo Grill, 1712 First Avenue) the evening of March 23, 2017. In several decades of listening intently to live creative improvised music, I’ve noticed that performances ebb and flow over the course of an evening. It’s perfectly natural, and it is one of the ways we know we’re not listening to robots. The first performance might be the best, or the band might hit its peak in the closing numbers. I can’t predict, and I suspect the musicians can’t either. But when Jon-Erik Kellso, trumpet; Evan Arntzen, clarinet and tenor saxophone; Ehud Asherie, piano; Marion Felder, drums, began to play at Luca’s Jazz Corner — an evening’s concert of ten leisurely extended selections — I could not have known that this would be one of those magical nights that started at a high level of creativity, expertise, and joy . . . and stayed there. Here are the first four performances, in the order that they were created, and the rest will follow. Let the congregation say WOW! And there’s more to come. Here are two glorious performances from the 2015 Mike Durham Classic Jazz Party, held in the Village Hotel Newcastle (Whitley Bay) — on November 7 of that year. The creators are Menno Daams, trumpet; Matthias Seuffert, clarinet / tenor saxophone; Keith Nichols, piano; Martin Wheatley, guitar / banjo; Henry Lemaire, string bass; Richard Pite, drums. Want more? Be sure to join us at the 2016 Party (November 4-6) with an opening concert / jam session featuring the Union Rhythm Kings, and enjoy an overflowing weekend of music and pleasures. Details http://www.whitleybayjazzfest.org/ as always. One set by Clint Baker’s New Orleans Jazz Band wouldn’t have been enough for anyone — either the audience at the Wednesday Night Hop at Mountain View, California, or for the wider audience of JAZZ LIVES. So here’s the second collection of exuberances: six songs, four of them explicitly New Orleans-rooted, the other two jazz classics. And a surprise. When the band took to the stage for the first set, it was Clint (trumpet, leader, vocals); Jim Klippert (trombone, vocal); Robert Banics (clarinet), Jason Vanderford (banjo, vocal); Sam Rocha (bass, tuba); J. Hansen (drums), Carl Sonny Leyland (piano). But a very nimble pianist — masquerading as the brilliant drummer Jeff Hamilton — was prevailed upon to sit in, and Jeff played the first four tunes of the set, having a good time himself. And you’ll notice the absence of microphones. Who needs them when you’ve got swing this hot? Clint Baker is an inspiring multi-instrumentalist (everything from brass to reeds to strings to drums to vocals) and here at Dixieland Monterey 2011, he contented himself with leading a small hot group from his drum set — he is a master of percussive sounds and propulsions. With him were hot cornetist Marc Caparone, pianist / singer Dawn Lambeth (united in connubial bliss), trombonist and euphonist Howard Miyata (that’s Uncle Howie to Gordon, Brandon, and Justin Au), reedman Mike Baird, bassist Paul Mehling, and guitarist / banjoist Katie Cavera. This band is the absolute equivalent of a big plate of down-home red beans and rice: spicy, colorful, hot, satisfying for a long time afterwards. And look how happy they look! A footnote: JAZZ LIVES readers who energetically watch “SFRaeAnn”‘s channel will see her videos of these performances. She is Rae Ann Berry, a wonderful archivist and deep friend to me and to many musicians . . . and we were often sitting at the same concert in Monterey and videotaping. Why, then, you might ask, why post my versions as well as hers? I have this fantasy that someone more technically gifted than myself will find a way to screen both her video and mine on a particular song – – – synchronized, to provide something like Dixieland Cinerama, or Hot Technicolor. Just imagine! Seeing jazz live means that the wonderful sounds that have previously come out of speakers or earbuds are magically transformed into people with instruments, creating music only a few feet away. Could anything be better than having a favorite band materialize in front of you? That’s happened to me many times. 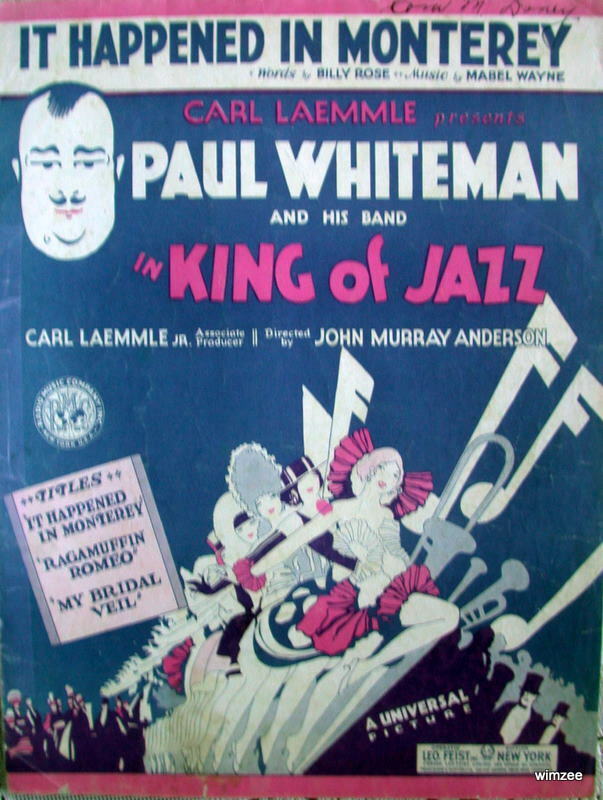 An especially pleasing instance took place at the 2010 Whitley Bay International Jazz Festival, when the Chalumeau Serenaders — whom I’d only known as a recording band — played a live set. The Serenaders emerged from Stomp Off Records’ producer Bob Erdos’ love of clarinet duets. Bob put together two of the finest with a crackling rhythm section: that’s Norman Field and Matthias Seuffert on reeds, Nick Ward on drums, Keith Nichols on piano and vocals, Malcolm Sked on sousaphone and string bass, and Martin Wheatley on banjo and guitar. Remarkable things happen at Whitley Bay!